We are proud to source only the highest quality of veal available. Our formula fed veal offers you the highest in tenderness available. The formula fed veal is harvested around 18-20 weeks. It is light pink almost milky in color with a very tender soft texture. The western veal is harvested between 9-12 months of age. It is darker in color due to the maturity and feed. We are confident you will find that our products are the highest in quality and value. 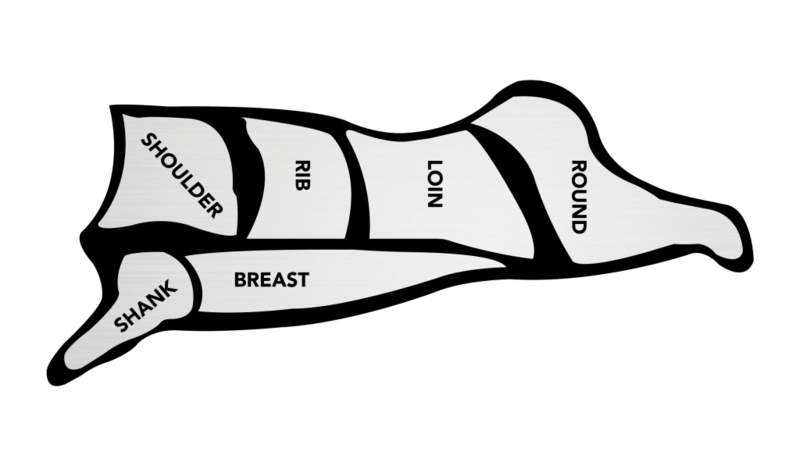 Click for Veal Cut Chart.